The spring anime lineup this 2019 had officially gone rampaging few days ago and since it's April, I am personally expecting for this lineup to be bigger and hotter than the rest of the year based on my own perspective. Nonetheless, before I got myself drown with the spring 2019 anime lineup, I shall give my final impression post about the previous season - the winter which had been seriously cold - connotative and denotative sense. Yes, the winter season had been a cold one on own experience per se, because I did encounter possibly one of the most disgusting anime character ever. Furthermore, I'll say it is quite the bumpy ride but definitely entertaining and exciting to follow. So, to get to the point immediately, here's the best anime from winter 2019 lineup from Yu Alexius Anime Portal. First in our list is The Rising Shield Hero. Believe it or not, I did have a heavy dosage of emotional outburst because of this anime. I love Naofumi and how innocent he is during the first episode and it's truly amazing how his unfortunate experience molded his personality into a practical, opportunist and bold bravado. In the end, his journey is really a dramatic one, that I believe every viewers must have wish to enter the story and help our shield hero against his misfortune or shall I say, wicked plot of the antagonist. I dare say, that The Rising Shield Hero had been an amazing show because of an effective villain. Yeah, Aultcray and Malty is such an effective evils especially the latter that we, as viewers were able to sympathize with Naofumi, thus gaining our empathy and for the evils to gain the hatred of the fans. Definitely, Malty's reputation as one of the most hated anime characters had been cemented in anime history. 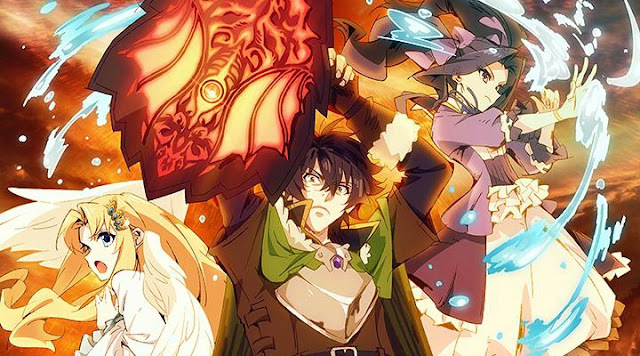 Nonetheless, the Rising Shield Hero had been a fun ride filled with funny conversation (especially my favorite Filo-chan), decent fight scenes, heart-pumping drama, and the typical isekai-cliche. Next in our list is Dororo, yes this anime that both gave me goosebumps due to its dark atmosphere in the beginning and those insane fighting sequence. Nonetheless, I was quite naive when I thought that Dororo is the young lad in the story only to find out that it's the cutesy adorable heroine and that Hyakkimaru is the cursed child in the beginning of the story. Those were just some small misunderstanding that I had with Dororo but in the end, I've grown to love it and eventually enjoyed every piece of it. I love Hyakkimaru's gradual character development and Dororo's cheerful personality. They really made a pretty decent pair and honestly speaking, the whole world will be a better place if each and everyone of us can be like Hyakkimaru and Dororo. The day to day adventure of the pair and their encounters with demons were both dramatic, stunning, and somehow heart-wrenching. Looking at the bigger picture, the anime have great promises especially in the latter part of the story as we're now entering its second cour. On third spot is The Morose Mononokean. I am not listing this anime for the 3rd place because it's very similar with Natsume's Book of Friends (which is one of my favorite anime), instead I have seen its growth from the rather boring first season of the anime last 2016. There had been some significant characters and story development as if we're finally seeing a piece of its real plot. Furthermore, Abeno and Ashiya's relationship is going stronger despite of how rough they might be towards each other. The comedy is there, the drama is quite heartfelt, a slight dosage of action is also impeccable. Now, The Morose Mononokean became so special for me because of its life lessons which is uplifting and enjoyable at the same time. Mob Psycho 100 II sits at the fourth place. People might be surprise this anime is just on the fourth spot in our list? Personally, I am not a big fan of the series but I do appreciate and recognize how awesome it is and the depth of its plot. 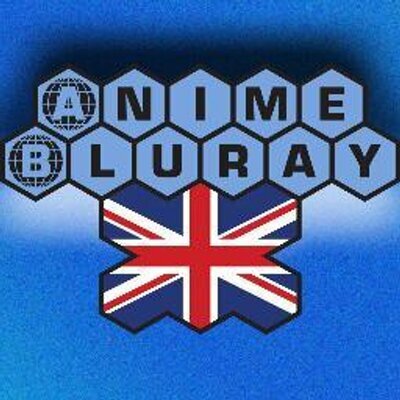 This anime had been on a league of its own and this season alone had a current score of 9.00 at MyAnimeList community showing critical reception from its viewers. Personally, I enjoyed how unique and peculiar Mob Psycho 100 is whether its characters or the concept or theme its tackling. It is a perfect example of revolutionary anime in today's generation which is filled with too much cliche. 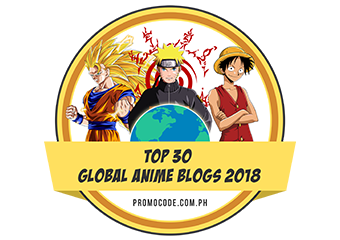 The Promised Neverland occupied the fifth spot in our list. This is a rather peculiar but not very strange anime with younger characters specifically children as the main protagonists. The Promised Neverland gave us an exciting ride filled with too much suspense and drama. The anime had been a decent ride on unveiling secrets with effective pacing, sound, and aesthetic animation and having interesting characters to follow. We also have Kaguya-sama: Love is War. Now, this is what I call fun and exciting while having a mind boggling mystery. Seriously speaking, this anime's plot is present in real world and I believed that its familiarity with the viewers feeling made it a relatable and enjoying anime to follow. Of course, we may not have the brilliance of the two main characters from the series but we seriously share the similar thoughts and principles about love. 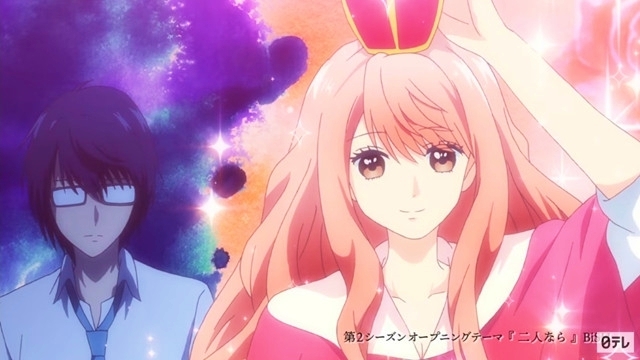 In this aspect, Kaguya-same: Love is War had been an entertaining and satisfying anime in a seasonal lineup filled with action-adventure shows. My Roommate is a Cat is possibly the winter's 2019 cinnamon roll. I am glad that anime is able to present a great relationship from a different perspective. And how a series of coincidence or circumstances lead you into new encounters and made you realize that there's more to life that what its usually seems like. 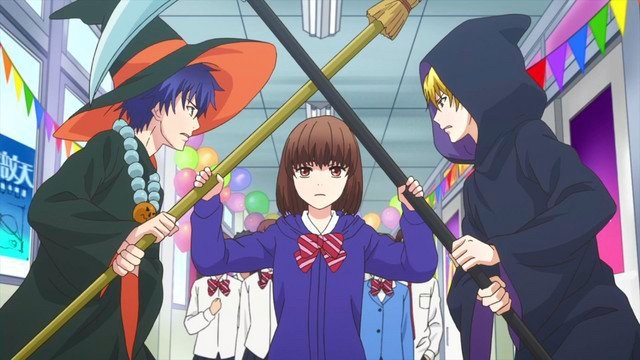 This anime is so fluffy and definitely the hidden gem of the season. The Quintessential Quintuplets share the same elements with other harem anime aside from the fact that its humor and drama is its harmony and easy to follow plot. Yes, this anime thrives in its simplicity and in the end, it's a show that will entertain you and give you smile or even made you laugh at the conclusion of every episode. 3D Girlfriend 2nd Season is in our 8th place. This is another uncommon but generic plot. 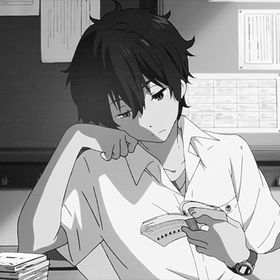 When two different worlds collide - an otaku and the popular girl in the school became in a relationship, this is decent approach to the romance genre despite of being saturated with common love story. 3D Girlfriend 2nd Season continue with a good animation and amazing story. 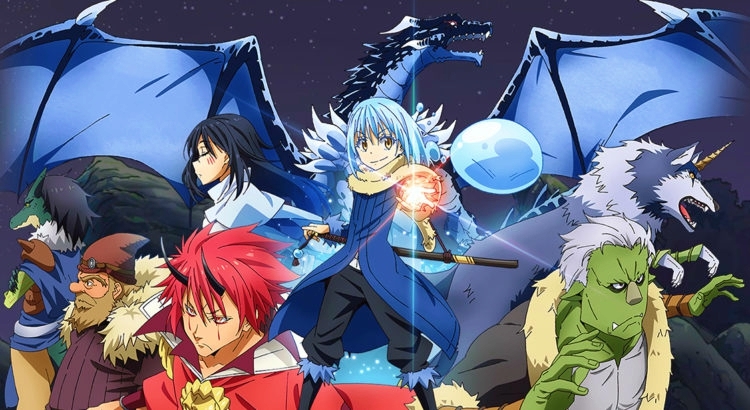 For the leftover anime, I truly enjoyed That Time I Got Reincarnated as a Slime. Despite of being so simple, I really loved it because it always satisfy me. I felt like it always go straight ahead to what I want it to be. That is why Rimuru and his gang of monsters and human friends had been my favorite leftover anime of the season. Nonetheless, I am excited for this anime's second season which is slated on 2020. Run with the Wind is quite a surprise and fun to watch. Production I.G. 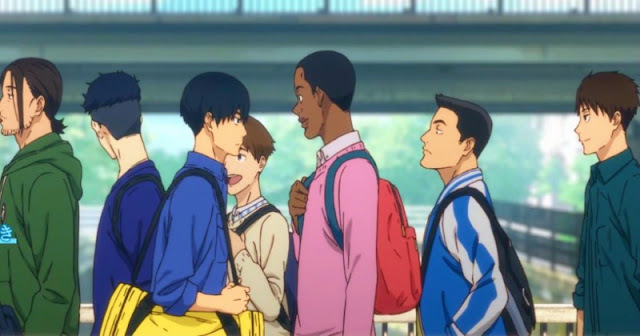 seriously champion on giving us quality animation and sports-theme anime which really offer a delightful drama and exciting plot to follow. I'll say this is one of the hidden gems of 2018 and I'm glad that I was able to discover it during the time that it is still airing. Next is Sword Art Online III: Alicization. It's a fun ride with the normal drama and action that we're familiar with from SAO. However, something really pissed me off about this anime and apparently, I find some of the episodes at the latter part to be boring despite of how strong its opening is. Nonetheless, Sword Art Online III is scheduled to return for Alicization Arc's third cour and I hope it'll be decent but I'm not saying that this season is bad, it's just kind of average at best on my end for now. Hinomaru Sumo is quite an educating one and I'd learn some tricks and information about the world of sumo wrestlers and how amazing it could be. To conclude this post, Winter 2019 anime lineup is a good season though there are many weak points and only few shows truly stand out. In fact, there are some titles that I am quite disappointed especially with A Certain Magical Index, and Boggiepop since these two were among my personal favorites but I wasn't satisfied with its progress. Nonetheless, the season had been wrapped up and we are now having the spring 2019 anime season which I believed is going to be a strong one.